Highlights as South Africa beat Sri Lanka in Johannesburg to earn a clean sweep of the T20I series. 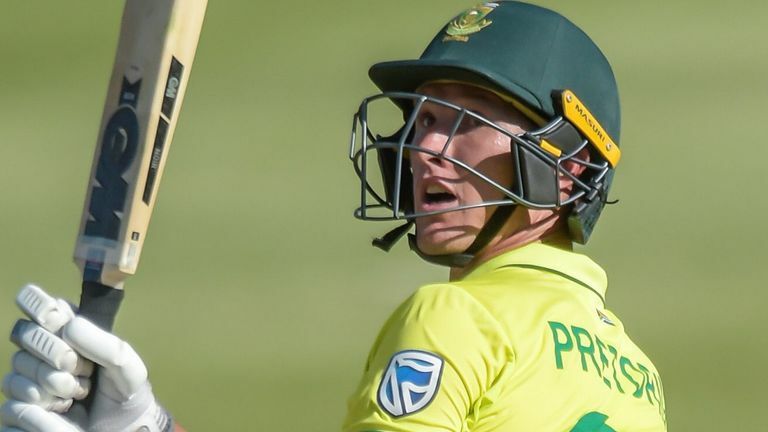 Dwaine Pretorius made the most of his promotion by cracking an unbeaten 77 from the No 3 spot as South Africa whitewashed Sri Lanka in the T20I series. 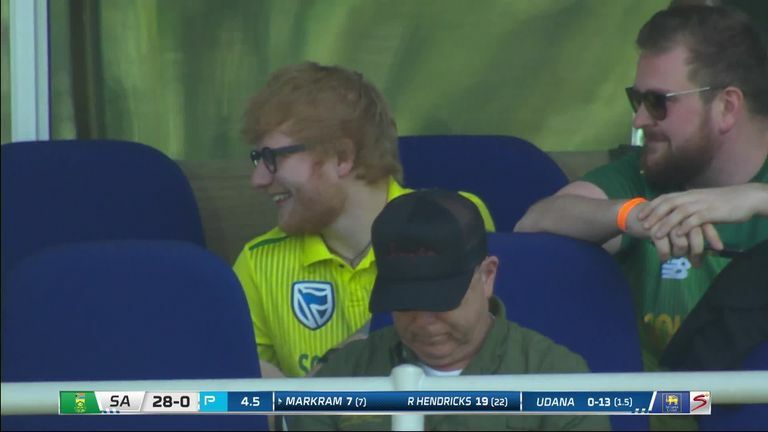 Pretorius, who had never batted higher than No 6 for the Proteas, thumped seven fours and three sixes in his maiden T20I fifty as the hosts racked up 198-2 in Johannesburg - in front of British singer Ed Sheeran, who is currently on tour in South Africa. 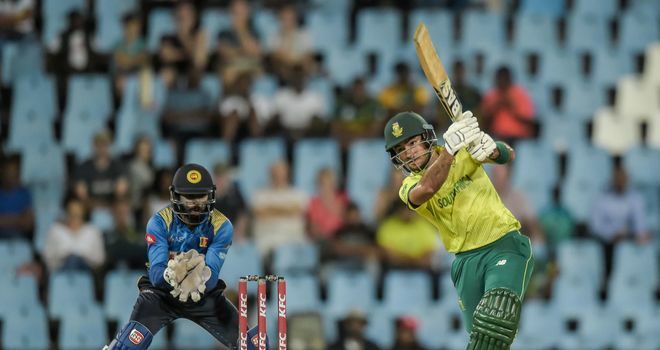 Reeza Hendricks (66 from 52) completed back-to-back half-centuries after striking 65 in Friday's second T20I at Centurion, while captain JP Duminy blazed 34 not out from 14 balls during a 45-run win. Niroshan Dickwella (38 of 22) gave Sri Lanka a rapid start to their chase but they folded from 42-0 to 96-6 before a rain delay briefly halted proceedings. When play resumed, Sri Lanka were set a revised target of 183 from 17 overs - 72 to win off 35 balls - but they collapsed to 137 all out shorty after danger man Isuru Udana (36 from 23) departed. It means that the visitors have suffered eight defeats out of eight on the white-ball leg of their tour, having been swept 5-0 in the ODI series. 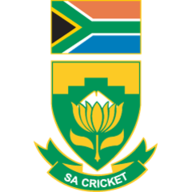 Sri Lanka - who secured a shock 2-0 win in the Test series - had restricted South Africa to 44-1 after seven overs, with Aiden Markam (15) out to the recalled Suranga Lakmal, but the Proteas then accelerated as Pretorius and Hendricks smashed 90 for the second wicket in 55 deliveries. Hendricks' dismissal - bowled by Jeffrey Vandersay - did not slow South Africa down, with Pretorius and Duminy hammering 71 runs from the final five overs at Wanderers, Pretorius reaching fifty from 28 balls with the second of three consecutive fours off Lakmal. Dickwella then hit seven fours before he became one of two batsmen to fall to Andile Phehlukwayo in the sixth over - Avishka Fernando (1) the other - after Pretorius had ousted Dhananjaya de Silva (8) in the fifth. Wickets continued to fall but another lower-order salvo from Udana - two days after he had smashed an unbeaten 84 from 48 deliveries at SuperSport Park - gave Sri Lanka a ray of hope either side of the delay to rain. 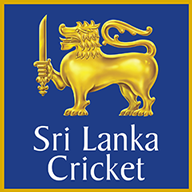 But Phehlukwayo (4-24) returned and removed Udana and Lasith Malinga with another double-strike in the 15th over and Sri Lanka swiftly crumbled to another emphatic defeat. Watch the World Cup live on Sky Sports Cricket from May 30 - the tournament starts with England against South Africa at The Oval.